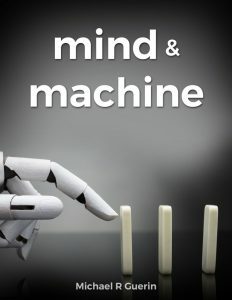 mind & machine - deep poems about life and love - thoughts. words. action. These 33 poems invite you to ask questions rather than providing concrete answers which are fueled and fed by our ongoing relationship to ourselves, to other people we encounter and finally with our world. Hopefully something will resonate with you as you read these poems and if not, then here is my heartfelt apology. It’s never easy to “sum up” a life, any life, in a few short and sharp sentences. So here goes… I left home at seventeen years old one week after graduation by joining the US Air Force. I was fortunately stationed for four years at Soesterberg AB in the Netherlands (1986 to 1990). From 1995 to 1998 I lived and worked with the Montfort Missionaries, a Catholic religious community, serving in a number of ministries both in St. Louis, MO and Queens, NY. In 1998 I graduated from St John’s University in Jamaica, NY (2nd in the class) with a BA in Theology, and I received a Master’s Degree in Philosophy from Fordham University in 2002. My first three books of poetry are available on amazon.com, and I’m in the process of completing a collection of essays titled An Awakening Heart. I also have sketched out a rough draft for my first novel, A Road Less Traveled: Memoirs of a Watcher. I live in Connecticut with my amazing wife Rumpa and our two children, Adam and Amy.